Caroline and I drank coffee in my flat and looked at eye pillows and planned the timetable back in September 2016! Caroline teaches on a Friday morning, 10:00-11:30. Her Scaravelli Inspired is so different to how I have practiced in both yin and yang styles and my body felt amazing afterwards 🙂 Mary and I are working on Monthly Teacher Features so you can get to know the Wolfpack a little more and the styles of yoga they love, practice and teach! At the moment I start my practice soon after I wake and my body can sometimes feel quite inflexible. I begin gently, usually in a simple position such as standing, kneeling on all fours or lying on my back. Often I start with very small movements, just one limb at a time. So I might initiate some movement in the joints of one foot, using the ground to help me find that and then try to follow those movements, observing how they relate to the movement in other joints: the ankle, knee, hip and up towards the spine. If it is a hand/ arm that I’m moving, I might be exploring the relationship between it and the shoulder mechanism, the spaces in between the rib bones, the upper spine and the subtle changes in the breath. My body responds to this gentle coaxing towards more conscious movement and it then feels natural to play around with asanas. I try to find different ways of approaching the positions so that the practice is playful, inquiring and open to new discoveries. It is a joy to observe the changes that can take place in a relatively short space of time, when attention is given and tension lessened; a backbend such as Urdhva Danurasana that might have seemed impossible at 7am unfolds happily an hour or so later! Vanda Scaravelli, is known for her influential book ‘Awakening The Spine’ (1991) which shows striking photographs of her in her 80s performing challenging poses with ease. She shared her practice with a small number of students. Diane Long was Vanda’s student for 23 years. Now in her 70s, Diane has also recently published a book ‘Notes on Yoga – the Legacy of Vanda Scaravelli’. Diane, who lives in Italy, has been my teacher for more than 15 years. My understanding of this approach to yoga comes largely from her. In practice, we avoid strenuous effort or aggressive motion. Our movements are often small and gentle but they penetrate deeply, releasing tension and reconnecting us with the spine and the beauty of the breath. Expansion and extension into asanas grow from this. 3. I always see such an interesting mix of students in your classes. Share with us some of their experiences, journeys and reactions to this practice. . Yes, I love my students and agree that there is an interesting mix. It helps that there are no ‘levels’ in this approach to yoga, so there might be both experienced teachers next to complete beginners in the same class. This is possible because students are given plenty of time to explore it at their own pace (I give hands-on help during this time). Everyone is encouraged to engage in their own process so there is no ‘keeping-up’, either with me or anyone else in the class. Also there is a large age range – I have a few students in their 20s, most are in their 30s – 60s and some older. Young people can be pleasantly surprised and often relieved to find that there is a way of doing yoga poses that isn’t stressful or over-exerting. Older students can bring wisdom……maybe there is less striving and more acceptance, qualities that lend themselves to a more open mind. In recent years many more men have been coming along too and, again, it is wonderful to offer the space and guidance for them to work with their body without feeling like they have to push so hard or ‘achieve’. For me, it is a great pleasure and privilege to witness the delight and surprise that people find at the body’s softening, unfolding and blossoming – at any time of life or whatever condition the body is in to begin with. I have been teaching for more than 15 years and some of my students have been with me since the very beginning. We are always learning from each other. 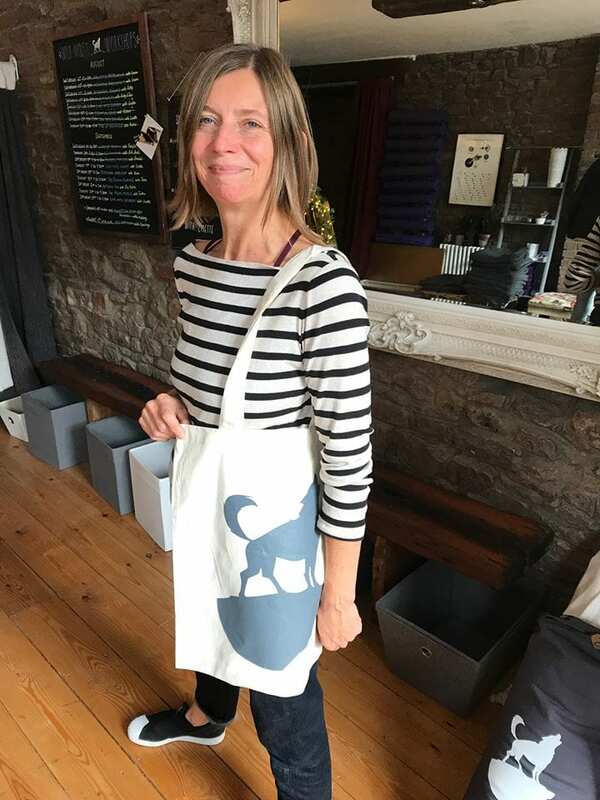 I moved to Bristol in 1993 for a job as pattern cutter in the Wardrobe Department of Bristol Old Vic – costume was my passion and had been since childhood. A few years later I went to my first yoga class at The Welshback Gym and a new love began! Soon after this I began attending a class at The Relaxation Centre in Clifton, taught by someone who had trained in London with some of Vanda Scaravelli’s students. By 2001, I was half way through that same Teacher Training, had left my job at the Old Vic and got pregnant! In 2002 I began teaching and also gave birth to my first son. My second son was born in 2005. During their early years I continued to teach yoga, firstly one class a week and then gradually adding another class here and there when there seemed to be demand for it. Currently I am teaching 6 weekly classes, regular workshops in Bristol, Cardiff and Huelva (Spain) and retreats in Wales. 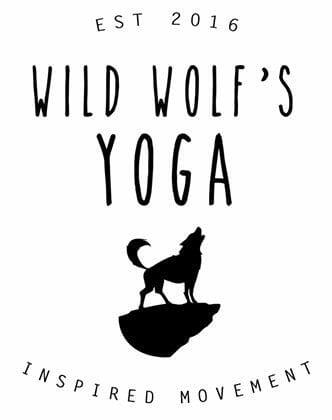 5.How did you come to bring Scaravelli inspired yoga to Wild Wolf’s? I was introduced to Jess & Steph Wolff by a mutual friend. 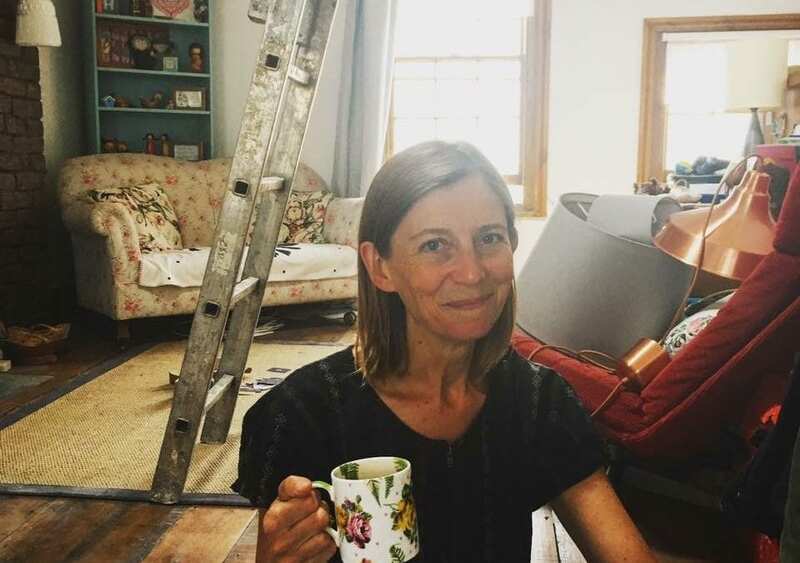 I came to meet them at the studio when it was a building site – the walls were being stripped of plaster, there were floorboards missing and dust everywhere. I got palpitations! 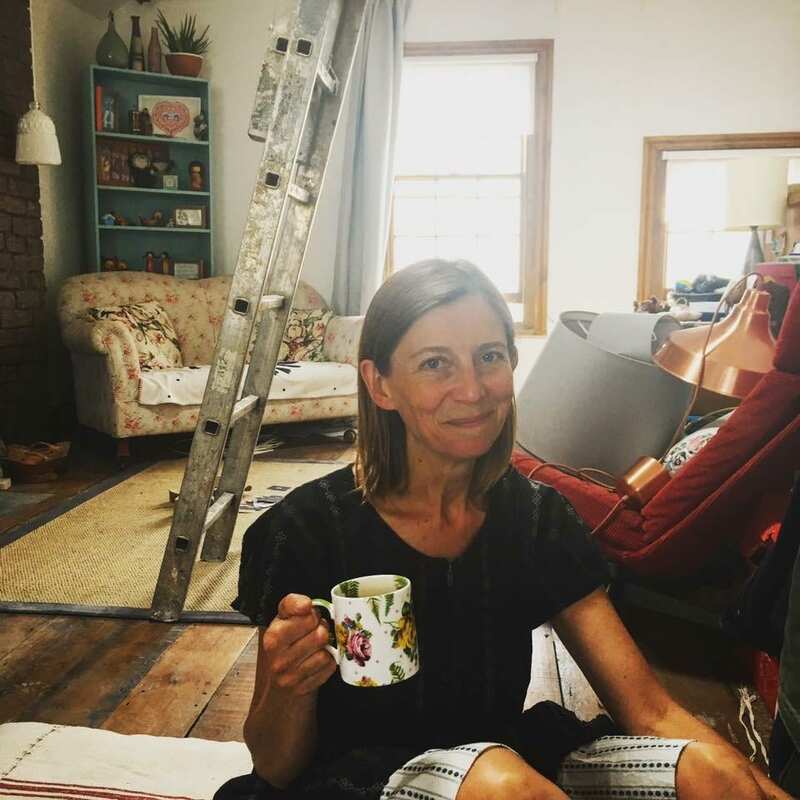 I could see immediately that it was going to be the most lovely yoga studio in Bristol and felt certain that I wanted to be part of it! Jess & Steph then came along to one of my workshops and we began meeting up (coffee & cake was often involved!). It has been wonderful to be part of the journey and share the magic of a new beginning. Every week I feel gratitude to be able to teach in such a lovely space – it somehow manages to feel spacious and yet warm, cosy and very welcoming. It is a Friday morning treat for me and my students! Lovely, lovely Caroline! It is a treat for Ulle and I if we are there on a Friday morning and we get to see Caroline!